The prefectural police and fire departments in Fukushima have started multilingual services aimed at non-Japanese speakers making emergency calls amid a rising number of foreign visitors in the run-up to the Tokyo 2020 Olympics and Paralympics. On Dec. 1 the prefectural police began offering services in English, Chinese and Korean 24 hours a day. Calls made by foreign residents and visitors to the 110 emergency number — as well as to fixed phone lines at 251 police stations and police boxes — will be connected to a three-way call with an outside company offering interpretation services. The authorities believe they will be able respond and react faster to crimes and traffic accidents reported by foreign residents. Toshiyuki Kanno, who heads the prefectural police department’s criminal investigation division, and Junichi Konno, an executive at the Tohoku Tourism Promotion Organization, which introduced the interpretation company, signed a memorandum of understanding at the Fukushima Prefectural Police headquarters on Nov. 28. According to the police, there were 200 emergency calls made by foreign residents and visitors last year. Before Dec. 1, about 30 police officers fluent in foreign languages had been serving as interpreters while conducting their regular duties. When these officers were not available, interpreters from the private sector were sought, a sometimes time-consuming process. Only the Koriyama and Shirakawa fire departments in the prefecture currently offer a similar three-way phone system, with Koriyama offering the service in 15 languages and Shirakawa 16. 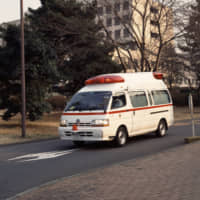 Fire departments in six areas of Fukushima — Date, Adachi, Kitakata, Aizuwakamatsu and Minamiaizu — are expected to introduce the service in five to 10 languages by the end of March 2020. 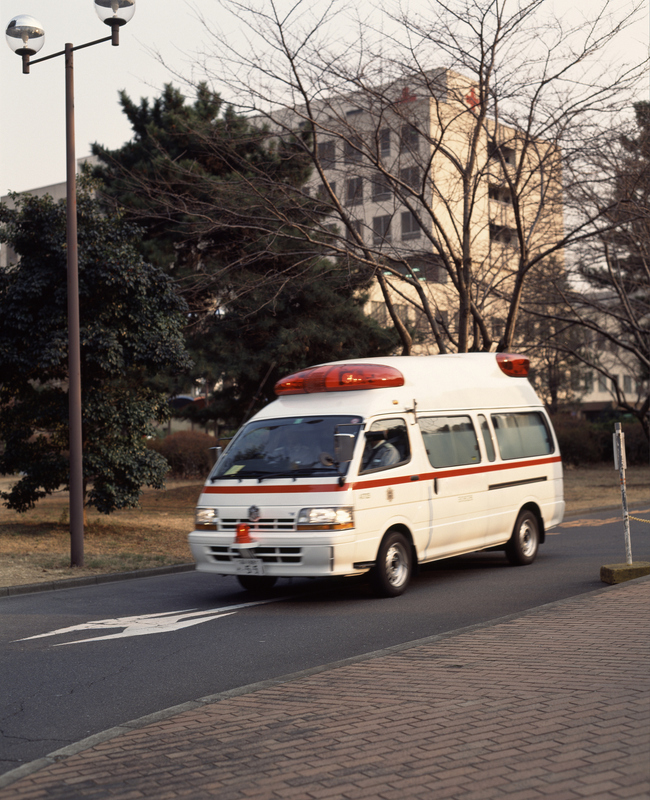 Fire departments in Sukagawa, Soma and Iwaki are also considering introducing the system. The number of foreign residents in the prefecture plunged after nuclear meltdowns at the Fukushima No. 1 power plant, which was triggered by the Great East Japan Earthquake and tsunami in March 2011. But the number hit 12,794 in 2017, recovering to the pre-disaster level. The number of foreign visitors staying overnight in the prefecture is also on the rise, topping 130,000 last year. With the increase, the number of foreign nationals who became crime victims has doubled, from 32 people in 2013 to 66 people last year, according to the police. The figures include cases that have been reported to and recognized by police. But one problem is that the service is available in a limited number of languages. In Fukushima, there are about 140 Vietnamese nationals working under a foreign trainee program, but the language is not included in the service introduced this month. “If it offers the service in Vietnamese, I would feel safer,” said a 21-year-old Vietnamese woman who works as a trainee at a metal processing factory in the city of Fukushima. This section features topics and issues from Fukushima covered by the Fukushima Minpo, the largest newspaper in Fukushima Prefecture. The original article was published on Nov. 29.